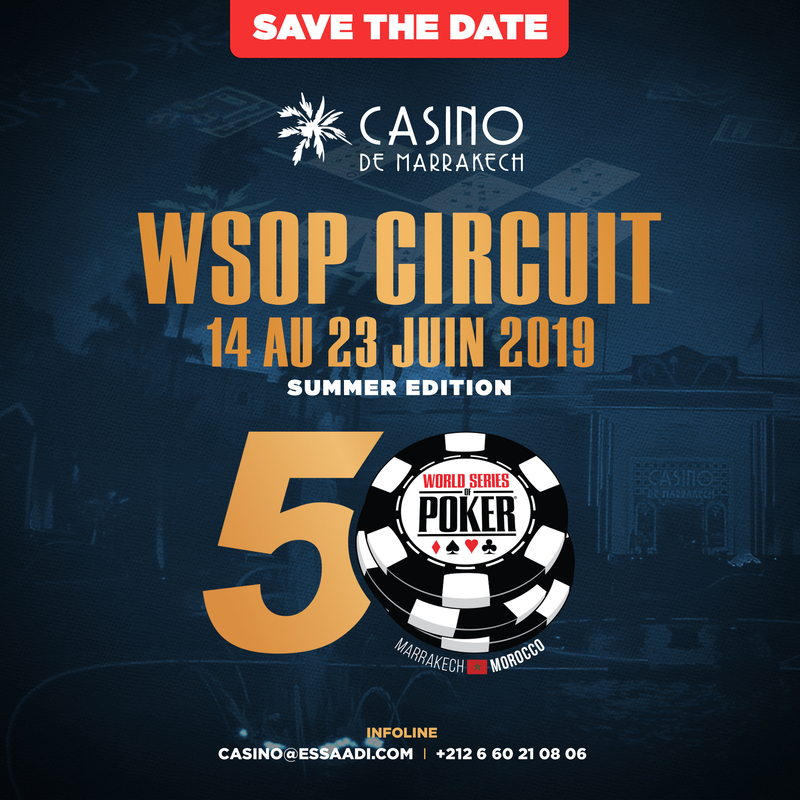 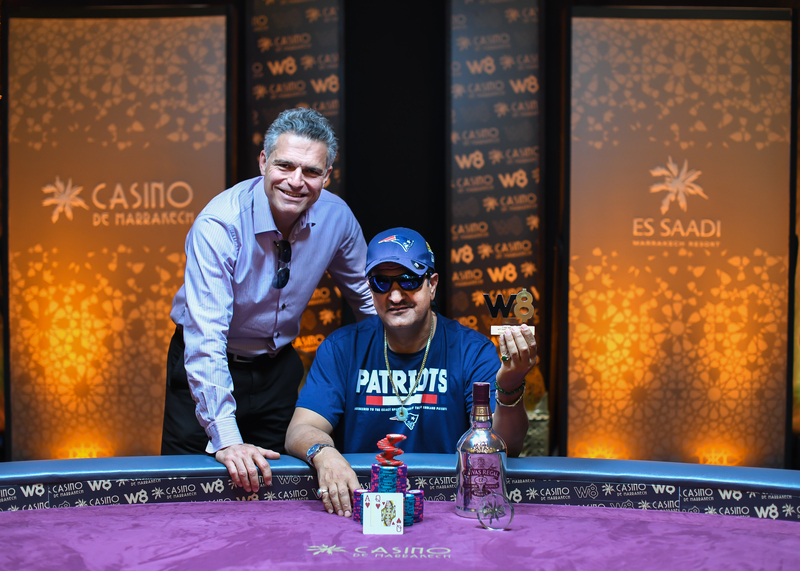 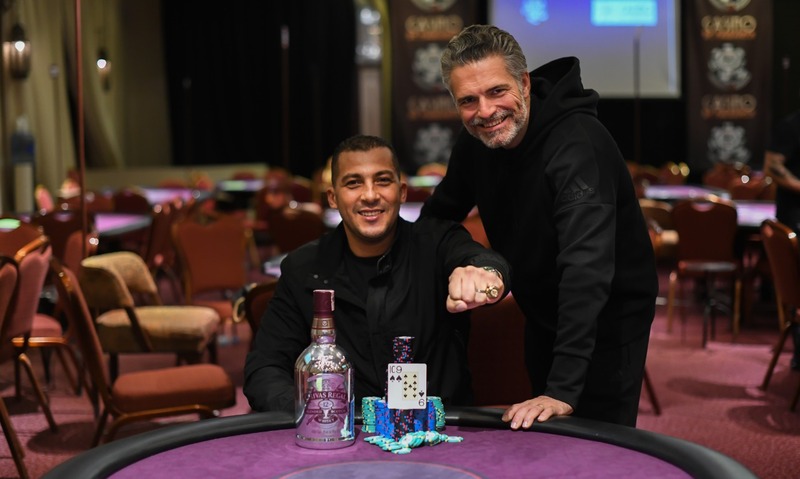 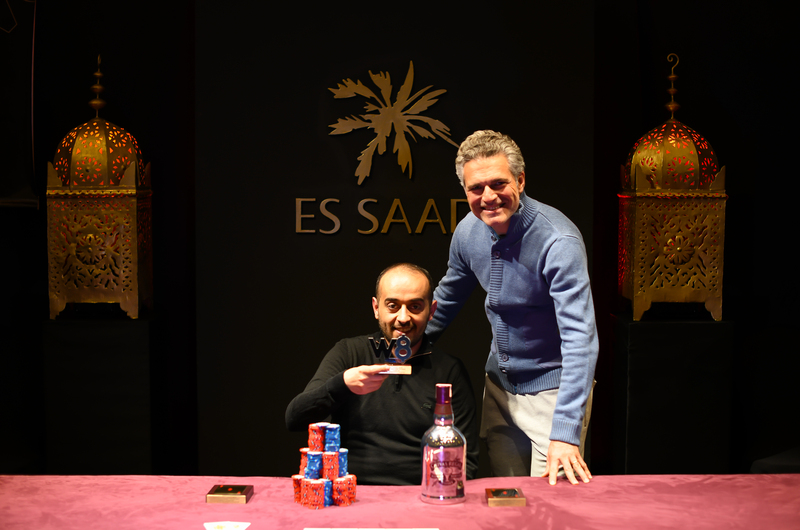 The World Series of Poker come back to Marrakesh from June 14th to June 23rd 2019. 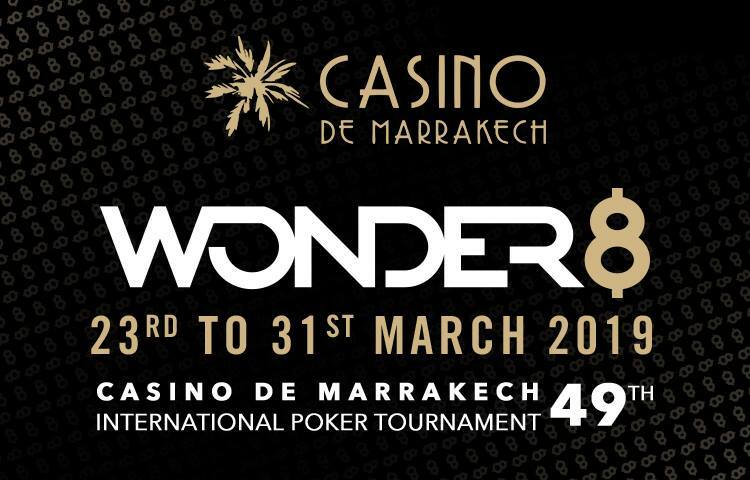 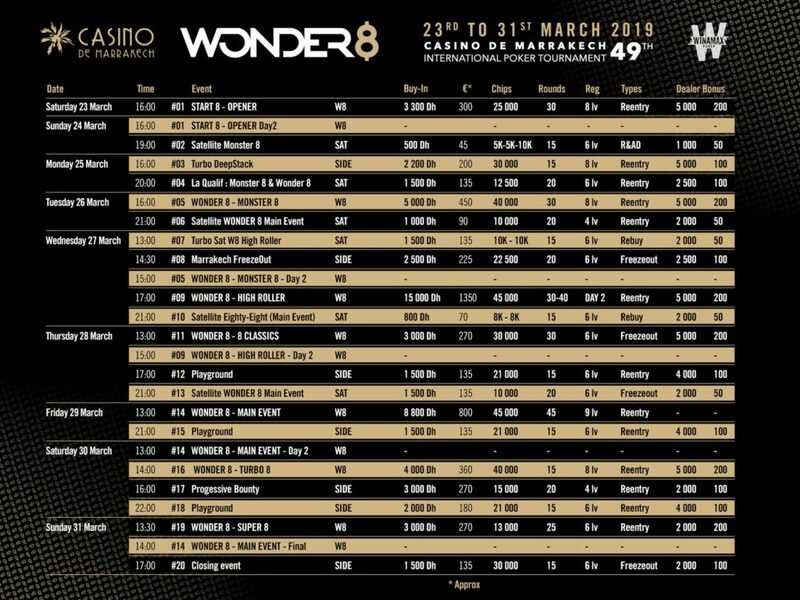 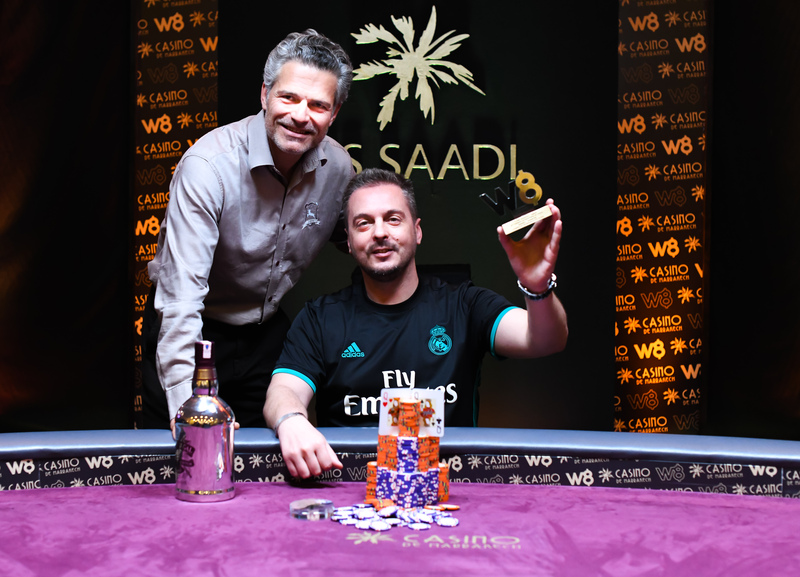 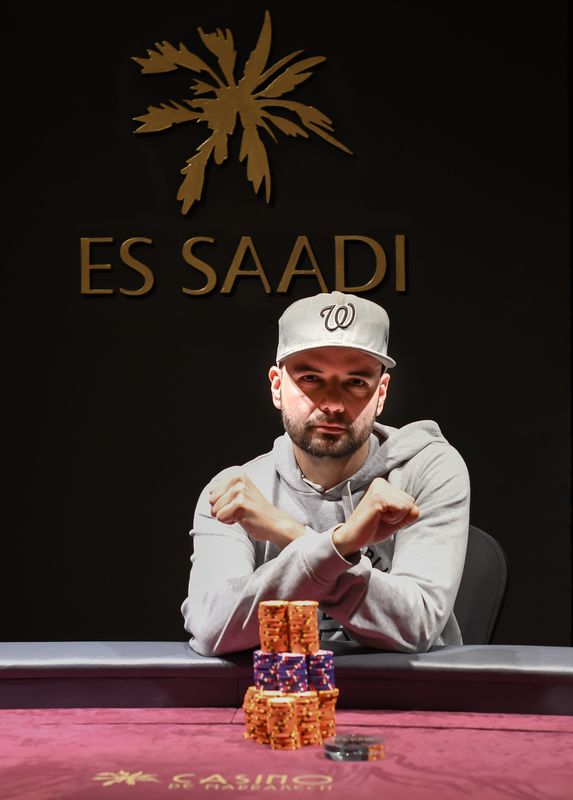 From March 23rd to March 31st , the Wonder8 is taking place in Morocco for 8 intense poker days in sunny Marrakech. 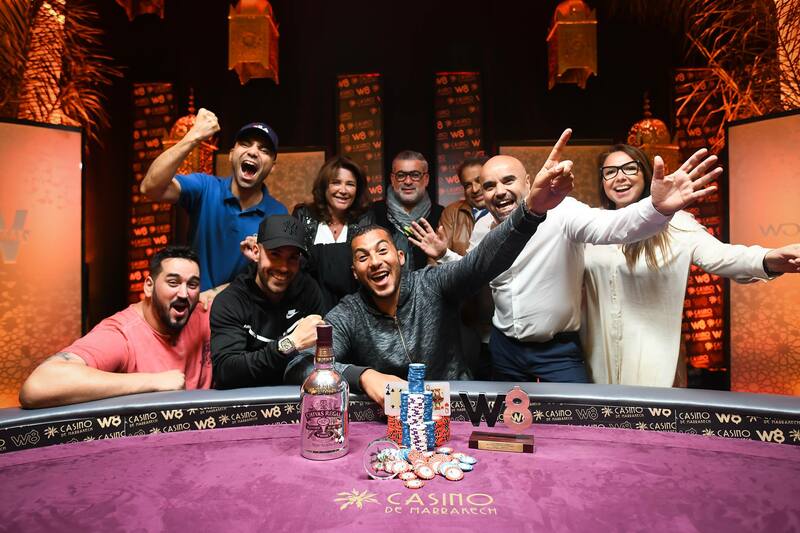 Iconic place of Moroccan poker, the Casino de Marrakech welcomes its 49 th international tournament and offers you on this occasion 20 different tournaments like the OPENER for 3300 Dh (300€), the MAIN EVENT for 8800 Dh (800€) or the HIGH ROLLER for 15000 Dh (1350€). 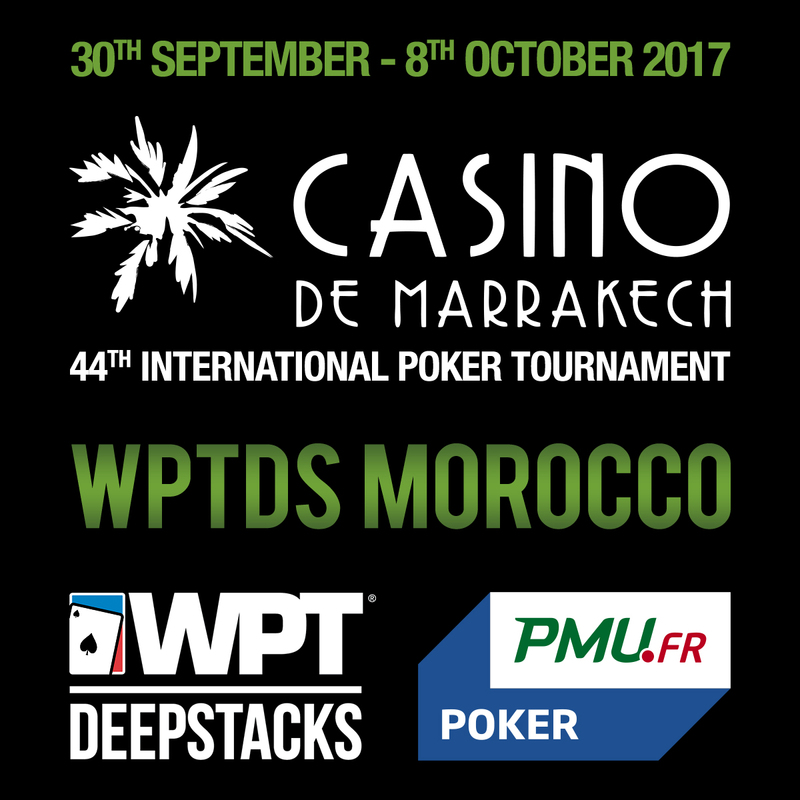 Let’s discover the perfect mix of 8-players games in a unique environment for a vibrating poker experience.